It was one Monday morning when I got a call from my friend ,asking for a “favor”. She wanted to invite us with family for her son’s first birthday party, coming in two weeks time. Also, she asked me to do the cake for her. 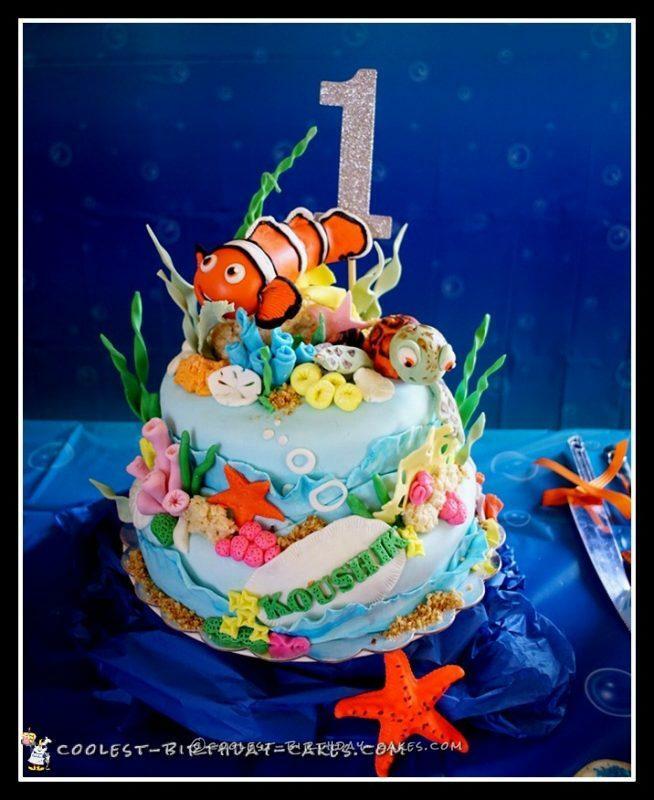 Oh and I love making first birthday cakes! You feel so important -I don’t know why! I was very happy when I found out that the theme in her mind is “Nemo”. 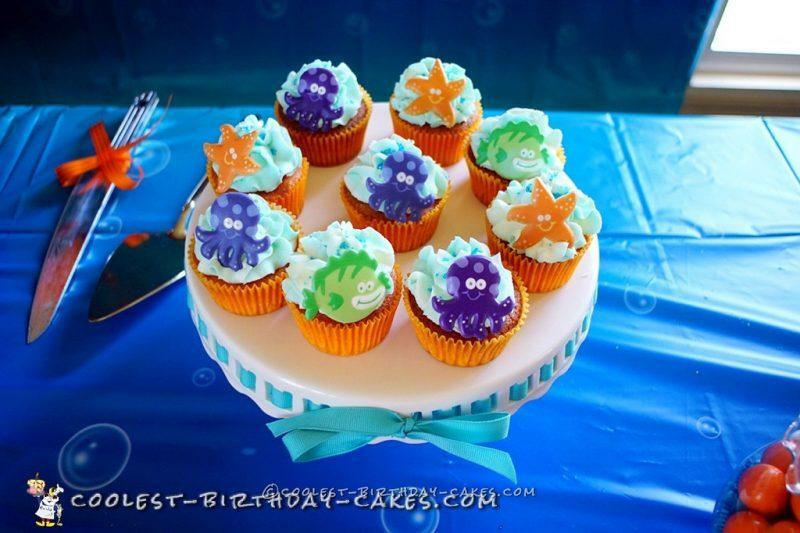 “Finding Nemo” is an all time favorite in my house, and so I wanted to do justice to the cake! 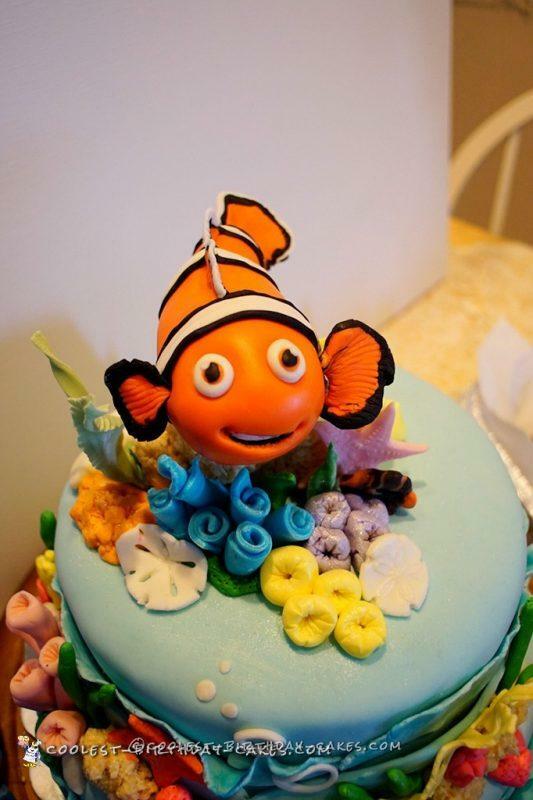 The only demand she had was to have a cute Nemo on the top of the cake. She gave me a free hand on everything else. So, I let my imagination go wild “under water” I wanted to incorporate many colors with different sea creatures, anemones etc. I made Nemo, with cute grin on his face, 2 days ahead. 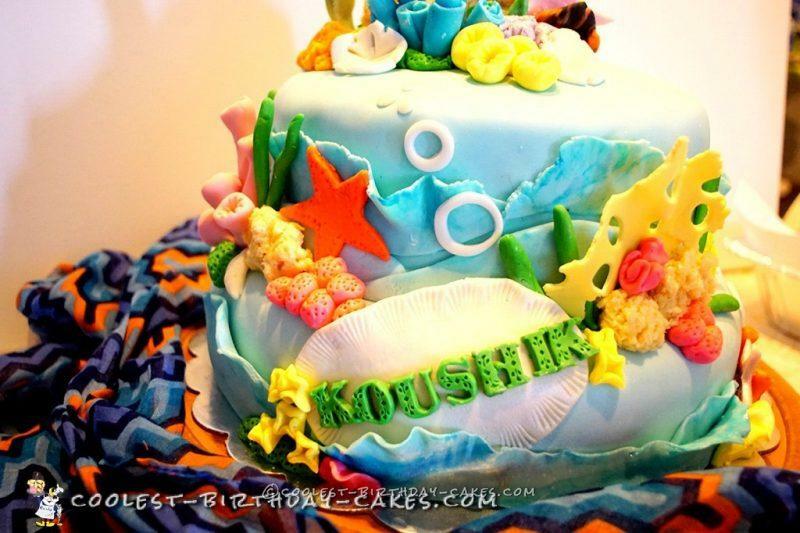 I wanted him to be completely dry before placing it on the top of the cake. I made him completely out of fondant, made it easy to sculpt. 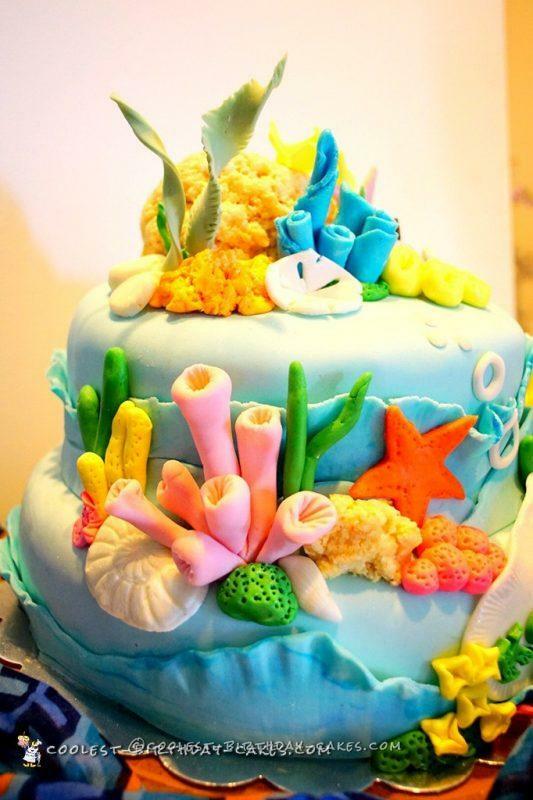 Some sea anemones, and algae was also made in advance, as I wanted it stay stiff on the cake. 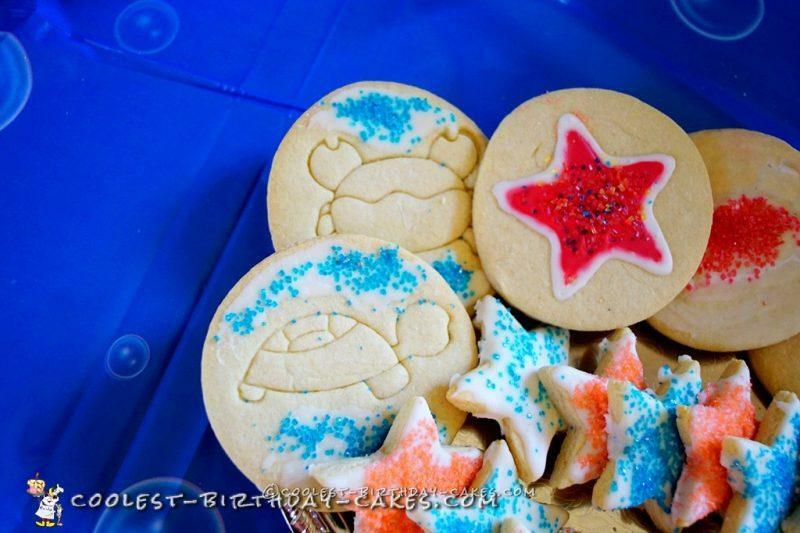 Squirt, the cute turtle completed the main characters on the cake. 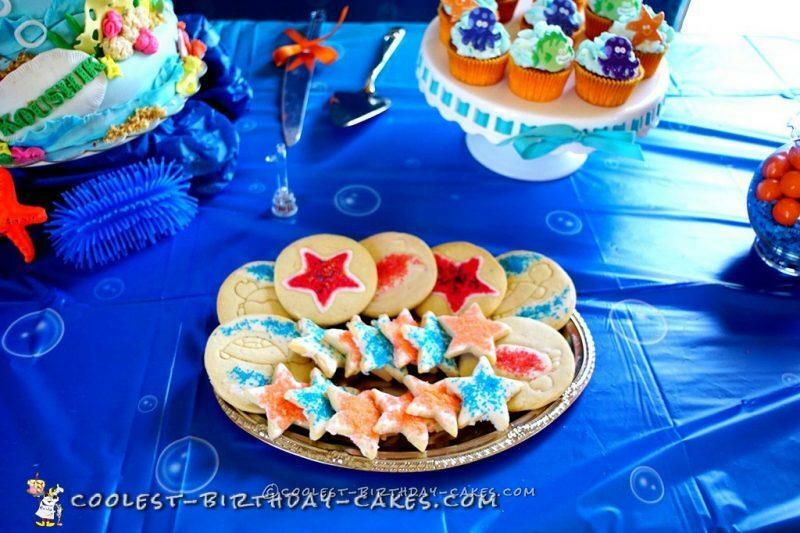 I made some cupcakes and cookies to go with the theme, upon her request. The cake was delivered and assembled partially at the venue of the party. My friend was so excited to see the cake and she literally had tears in her eyes after seeing the cake. That made me feel so good about my work and I got great compliments for the same! By the way, It was a chocolate cake with chocolate buttercream filling. Hope you all like my story as well as the cake!